Dean of Admission and Registration Prof. Hashem bin Ahmed Al-Samadani has taken part in the 21st meeting of the Admission and Registration Deans of Saudi Arabia Universities which was hosted by Prince Sattam Bin Abdulaziz University at Riyadh Marriott Hotel on Wednesday, Jumada al-Thani 09, 1438H to review Umm Al-Qura University example of medical colleges' table of study. 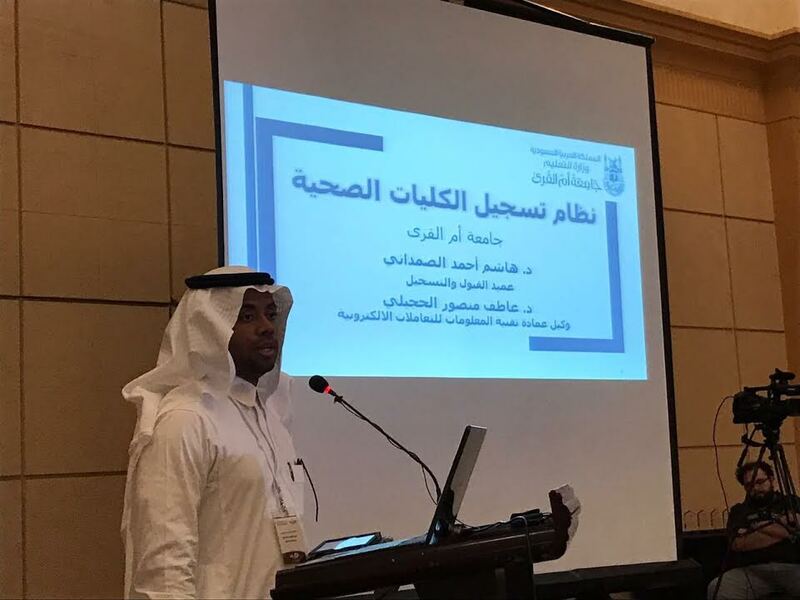 Addressing the meeting, Dr. Al-Samadani gave a presentation on admission system adopted by UQU health and medicine colleges, the study plan and mechanism set to calculate burdens. The total burden of academic week is calculated according t the type of study plan's knowledge activity, time scheduled for theoretical lectures, seminars, practical activities, education, research supervision, non-class activities, graduation projects and field training, he said. 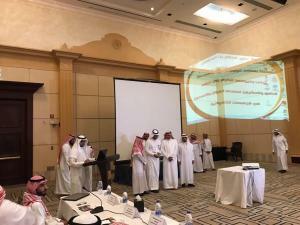 The presentation included an introduction on the electronic registration and admission systems established by the university in accordance with the kingdom's plan of e-governance. The dean said the registration and admission services are now accessible by students online. The e-services take hands of students from the stage of admission until graduation, he said, adding online services have been available after keen and perceptive assistance from President of the University Dr. Bakri Bin M'atoog Bin Bakri Assas and Vice-President for Educational Affairs Abdul-Aziz bin Rashad Al-Srouji in cooperation with the IT Deanship in order to develop an electronic platform as per the UQU's admission and registration rules and regulations.